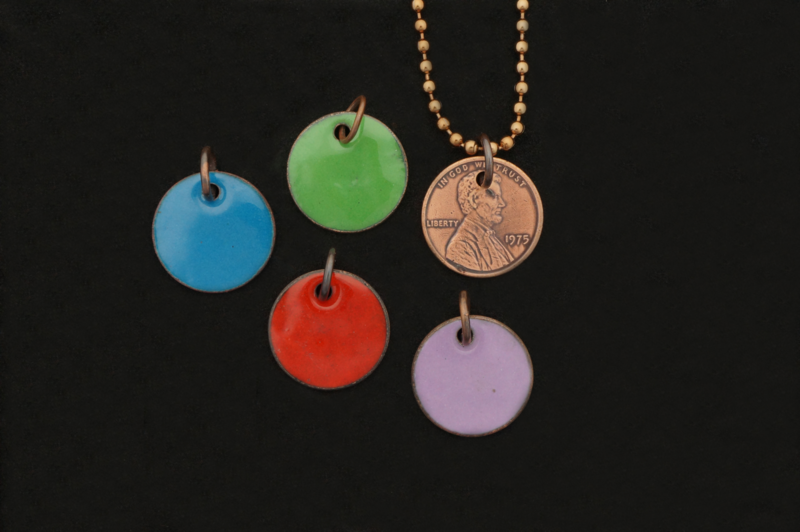 These pennies have glass enamel torch fired to the back of the coin. It is available in four colors Blue, Red, Green and Violet. It hangs from a 24" copper plated ball chain that can be easily shortened with just a pair of kitchen scissors. The dates are random unless a specific date is requested. If you desire a specific date you may select one but the only dates avalable are 1959 - 1985. This is because the copper content within those dates is high enough to withstand the heat from torch firing the enamel without melting.